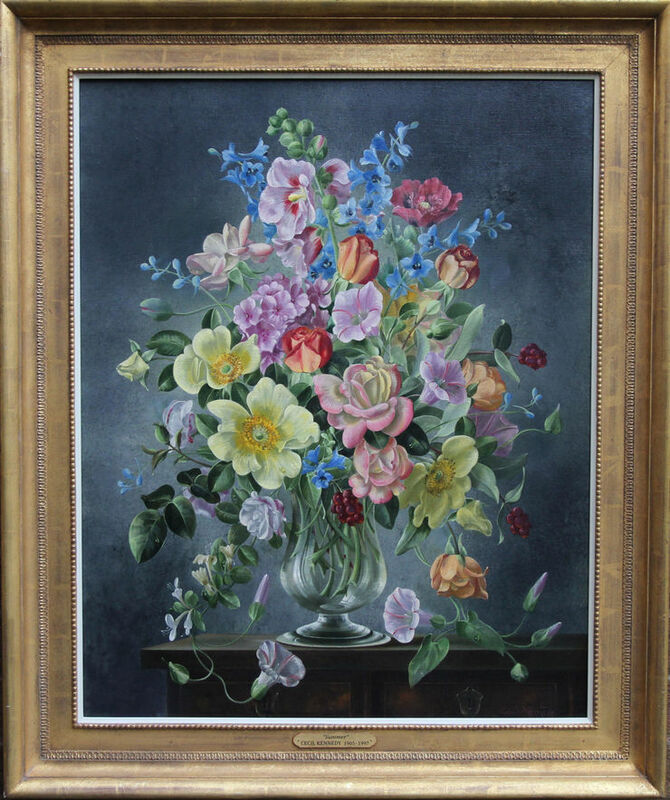 A fine oil on canvas which dates to circa 1950 by noted British floral artist Cecil Kennedy. 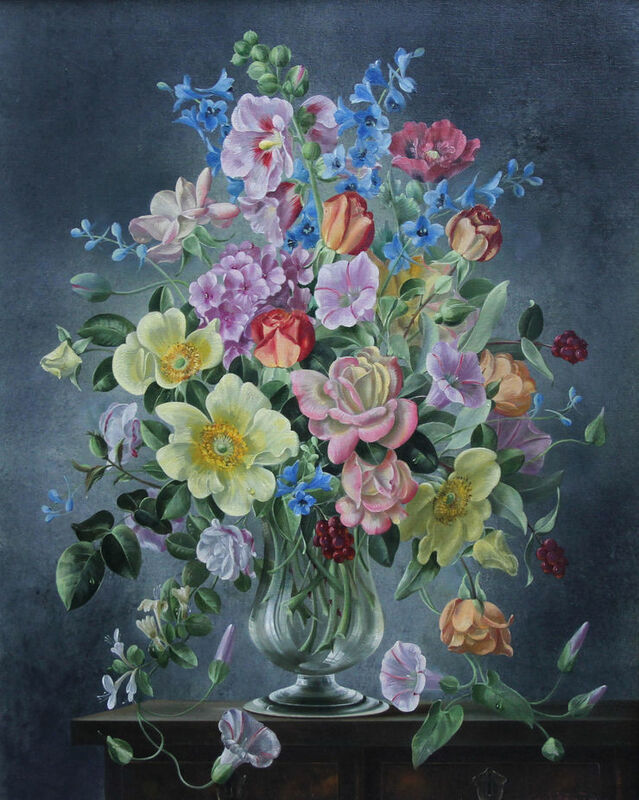 It is a finely detailed still life of a floral display which includes mallow, phlox and roses amongst others.The work is by an artist who exhibited at The Royal Academy, The Royal Scottish Academy and The Paris Salon. Full of vitality and a very realistic floral in the manner of the Dutch Old Masters. It is a fine period British oil painting. Fine Art Dealer - estate. Framed in a fine gallery frame 38 inches by 33 inches. In excellent condition.